This NEW genealogy website has been created with a no muss, no fuss attitude. Getting the information to you is my Top Priority. Thank you for Visiting and Please come back again to see if there are any updates. 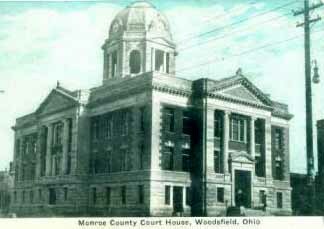 MONROE COUNTY, OHIO was formed January 29, 1813, from Belmont, Washington and Guernsey counties. A portion of its surface is abrupt and hilly. Large quantities of tobacco are raised. Iron ore and coal abound. 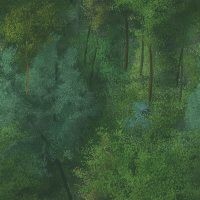 The valleys of the streams are very narrow, bounded by rough hills. In some places are natural rock grottoes. The first settlement was made in 1799 near the mouth of the Sunfish. At this time wolves were numerous and caused much alarm. Volney entered this county but was not prepossessed in its favor. One township was settled by the Swiss. Woodsfield is the county seat.